After two promotions in three seasons, Dundee United Women’s Football Club will play in the Scottish Women’s Premier League for the first time in the 2019 season and the club couldn’t have asked for a more exciting clash to start off the SWPL 2 campaign, welcoming St Johnstone to the City of Discovery. If any new supporters are keen to identify any key individuals for the side, they won’t receive a definitive answer from the manager as he is confident in the whole squad’s abilities. After being questioned about star players, Beith admits it is a difficult question to answer. Although the club welcome impressive attendance figures to the women’s matches, Beith feels that recent developments in the game could tempt even more Arabs into taking in matches. He states: “It’s a big year for women’s football. I think it’s grown since the national squad qualified for the World Cup. The announcement of Celtic going full time and the investments at Hearts and Rangers shows there’s a lot going on. It’s probably in the spotlight more than ever. It’s not just the manager who is raring to go, but captain Keira Johnstone and her teammates Katie Caine and Laurie Ross also can’t wait for their opening day clash with St Johnstone. Speaking days after their first pre-season outing, a 5-1 win at Montrose, the pair exclaim: “We’ve continued to train since the end of the season, we were all happy to and we feel fit and ready to go for the new season. Despite not playing, she has noticed the level-headedness amongst the many young players in the DUWFC squad and believes they can all cope at the higher level of SWPL 2. After winning the club’s Player of the Year award last year, she also believes she can keep that form going into next season. 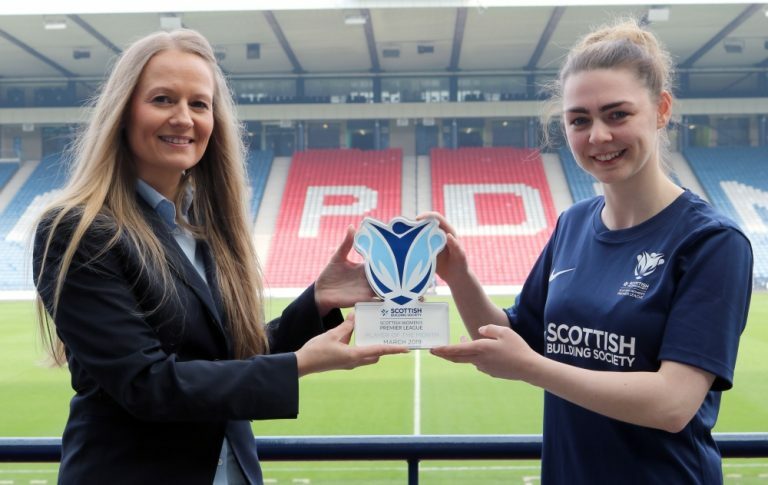 Last season saw Motherwell romp to the SWPL 2 title and defy all expectations to reach the Scottish Cup final, albeit losing heavily in the final to Hibs, but Ross doesn’t think they should be comparing themselves to that team. With the national side having qualified for their first ever World Cup, which will take place this summer and both Glasgow City and Hibs involved in next season’s UEFA Women’s Champions League, interest in women’s football in the country has risen, and all three players hope that more Dundee United fans will come out to watch the side on a Sunday. Caine said: “Playing at Tannadice was great, that was a massive turnout for us (423 fans watched as United secured the title against Cove in October) and a massive show of respect for the girls. It boosted spirits an incredible amount. Ross believes that the women’s game is getting bigger in Scotland and is of more interest to people now. 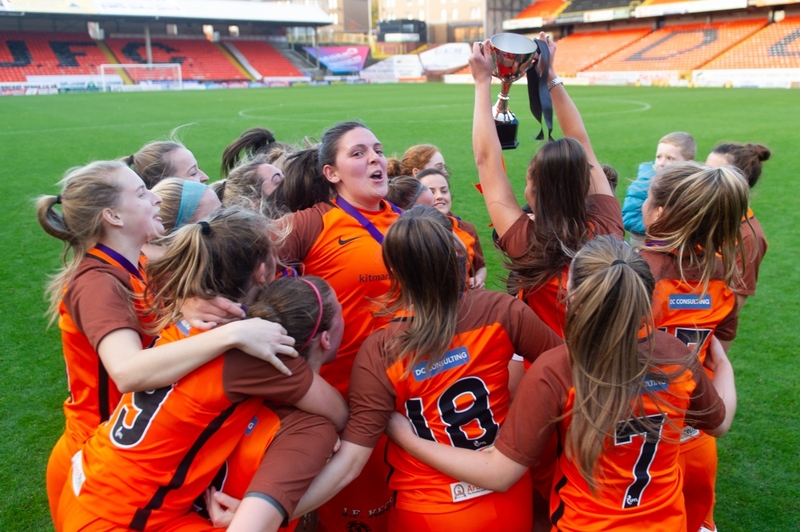 She said: “There are lots of families across at Tannadice with lots of young girls so it’s good for them to see other girls on the pitch instead of men. Dundee United Women’s Football Club begin their first season in SWPL 2 with a home clash against Tayside neighbours St Johnstone at the GA Arena, opposite Tannadice, on Sunday 10th February.